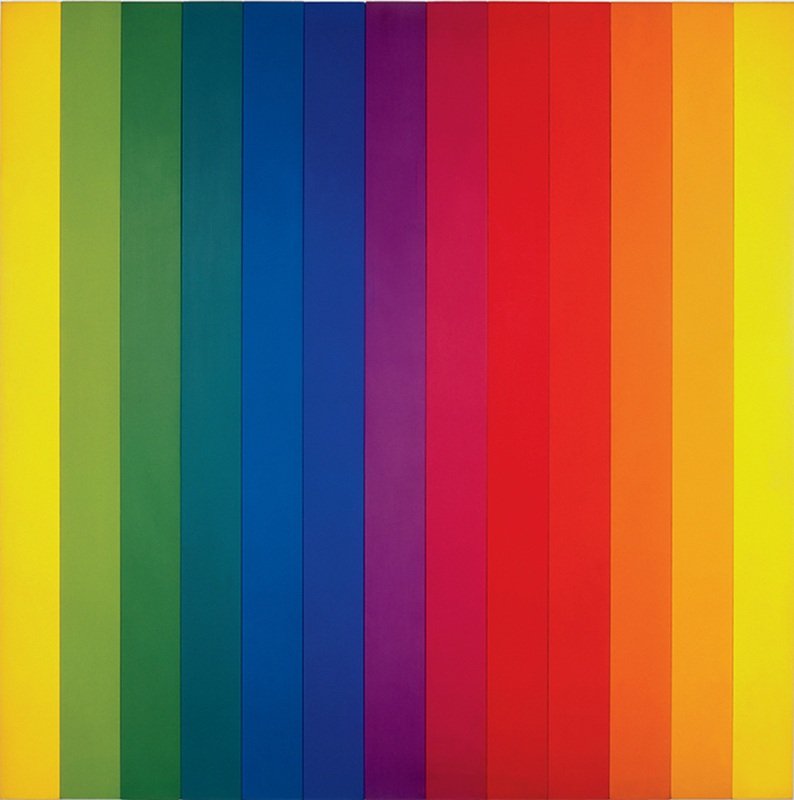 Ellsworth Kelly, Spectrum IV, 1967, oil on canvas, thirteen joined panels, 117 × 117". © Ellsworth Kelly. ELLSWORTH KELLY was absorbed with the challenges and pleasures of looking. Indeed, the act of looking was of paramount importance to him. I believe he felt it to be his like nothing else. A common way of being in his company was watching him observe, through big round glasses that capitalized the activity they enabled. In conversation, he recalled with great pride a bird-watching outing in junior high school: The teacher praised him for his “good eye” when he spotted a far-off blue-winged warbler without the benefit of binoculars. In telling me the story some eighty years later, Kelly segued naturally to mention Cézanne’s saying of Monet, “What an eye!”the ultimate praise, as he saw it. 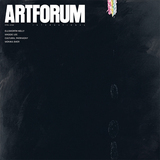 How to translate looking into artmaking was something that Kelly learned in a rigorous academic program at Boston’s School of the Museum of Fine Arts in the 1940s. When he went to Paris because he had decided he wanted to be a “modern artist,” he did not abandon those precious skills. But in Kelly’s paintings and sculptures, the looking was so distilled that for most it was not evident as the foundation of the works. I think of the art he made as a way to get other people to do what he loved so muchto pay attention to the act of perception. “I want to give something that gives the person some eye-work,” he said. For Kelly, looking was serious work but also a kind of intoxication. He would happily lose himself in the description of a painting such as Spectrum IV, 1967 (now in MoMA’s collection), explaining the optical effects that result from the fact that ten feet’s worth of yellows (at the painting’s left and right edges) meet the white wall, while merely a few inches of the other colors do so. This wasn’t the kind of discussion that happened in late-twentieth-century art-history classes. For a long time this was very hurtful to Kelly, in part because he would have preferred his work to be in vogue among academics and critics, but more so because he truly was fascinated by how many inches of each color in a painting meet a white wall, and he couldn’t understand why everyone else wasn’t. I am deeply grateful that Kelly lived well into the twenty-first centurylong enough to see everyone tire of thinking in terms of the isms and categories he never fit into, and finally venerate his work as, simply, that of a great modern artist. Ann Temkin is Chief Curator of painting and sculpture at the Museum of Modern Art in New York.